"Would you like to see what you’ve touched?" 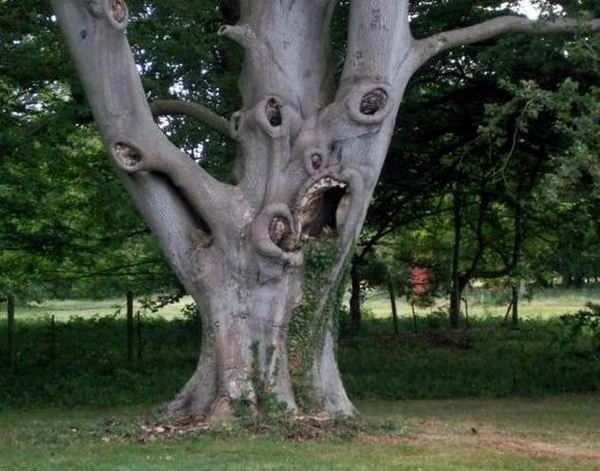 I’m probably watching GHOST STORY tonight. How about you? I’ll never think of ‘The Sweetheart of Sigma Chi’ in the same way. Sheriffs Obeying Their Oaths – What A Concept! Sipsey Street Irregulars has an article regarding a movement, if you will, amongst rural Sheriffs in California. (One in Oregon). Essentially, they have seen large, intrusive government, and decided they are going to follow their Oaths, instead of their orders. Go. Read. Be proud of public servants, who it appears, indeed, serve the public, and not just follow the orders from the on-high Leviathan. And, this originated in CALIFORNIA! Who knew? attn FTC – I receive nothing for this link. Look elsewhere. Housecleaning, meaning cleaning the blog bookmarks. A couple months ago, I changed browsers from IE9 to Firefox. This change was enacted as IE seemed somewhat incompatible with BLOGGER software. I have generally liked the change, however, not being a real geek, I’ve had some difficulty adjusting. One of the adjustments was daily operating of the Blog bookmarks. As I’ve added and subtracted blogs I read (aspiring to do so daily) I discovered operation of progression to the next blog in my bookmark was more difficult than with IE9. Yesterday, months later, I discovered on Firefox I can drag a copy of the Blog bookmark to an overlooking toolbar! YAY! I was sad to see so many bloggers who no longer blog. And many no longer even have a link! But, I remain, blogging daily (one critic says stealing daily) and intending to continue. Now, which Amendment was that, again? Justices in a 5-1 decision stopped just short of instituting new rules for Iowa law enforcement agents but strongly signaled their view that traffic stops on the side of public highways are “inherently coercive” and therefore can give rise to improper pressure on motorists to agree to vehicle searches. They ruled the search illegal and the “evidence” therefore inadmissible. In short, no more “May I search your car?” in Iowa, following a routine traffic stop! The judicial pendulum is ever-so-slowly starting back in the other direction, toward Constitutional Liberty. Hopefully, other State Judiciaries will see this and follow suit. 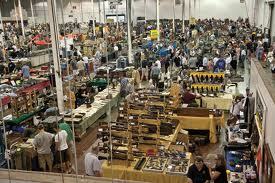 I began attending gun shows in the early 70’s. Why? The first gun show I attended was at Gerard High School in East Phoenix. Sadly, the school no longer exists. The show was in the gymnasium, I believe. Here we were, my gunnie friends and I, Open Carrying into a Catholic school. There were no checks to see if we were unloaded, or if the arms were tied-off with a nylon zip tie to ‘make it safe’. The unspoken rule was one simply didn’t take the firearm from it’s holster, unless one was trying to sell it and was presenting it to a potential buyer. These shows were NOT largely swap meets to buy and sell guns. It was a gun show! Hey, look at my collection, look what fine tools I have! Many had signs stating Not For Sale. And, I don’t remember any crystal glassware, Beanie Babies or cheap sunglasses. It was a gun show. I’m anticipating going to the Crossroads of the West Gun Show in early December at the Arizona State Fairgrounds. Because of my various health issues, I’ve not been to any shows in three years. They will make me clear and tie-off any firearms I take in – so, I usually don’t do that. It’s just easier. But, the modern shows are very different from the old ones. FIVE (or more) large fair display buildings, with a tarp-covered area between them, ALL with gun show stuff! Sadly, there will probably be some non-gun trinkets for sale. And, and least one nazi muffin selling nazi muffin crap. But there will be many FFL dealers and private sellers, and Class III displays! And maybe one or two actual collections. ‘Remember when the Tea Party was in Arizona and that one guy lawfully carried an AR-15 in a sling on his shoulder? Remember how it made the news and how the beltway crowd was really freaking the Hell out? Remember how MSNBC used selective editing to make it look like it was a disheveled white guy when it was really done by a clean cut black guy? And the media went into OMG!!! mode? That Danged ‘Under The Radar’ Again! Maddened Fowl has a link to an article explaining how the Obama Administration is doing as it promised, going ‘under the radar’ to encourage The Senate to ratify an international small arms treaty. Included in the treaty is a provision the supports the inclusion of small arms in the U.N. Register of Conventional Arms. So much for the ballyhooed transparency. But it’s not clear why he is suddenly seeking Senate ratification of the measure. Especially after the situation has lain dormant for 11 years. We’ve touched before on some of the things TV/movie PI’s rarely address. Obviously, modern technology: cellular telephones, GPS units, and the Internet have revolutionized investigation. But, back in the day, none of these things existed. And, much PI work consisted in tedious research, in government records offices, and public libraries. Legwork. Shoe leather. The library with which I was most familiar was on the N.E. corner of McDowell Road and Central Avenue. (the new library is a multi-story facility a block South of this location, on Central Avenue). They had a large collection of city directories (still do), published by Polk and Cole’s. The Polk City Directory and Cole’s Directory were readily available. If one didn’t monopolize their time, one could call the reference librarian and perhaps pose a question regarding information in these volumes. My understanding is it’s much more difficult today by telephone to do this, fear of stalkers, perverts and such. Liability. A personal visit is time consuming, but always informative. If you’ve never seen city directories, they can be revealing. The Polk’s Directory lists addresses, telephone numbers and names, both of businesses and individuals. In the olden days, they actually had surveyors do a house-to-house-to-business survey, asking questions, names, telephone numbers-sometimes getting confidential information like non-published telephone numbers. And the business listings had names of company corporate officers, sometimes linked to their residence information, as well. The older volumes even had maps showing the Rural Route addresses. I imagine today, it’s all compiled from data mining. The Internet suggests they focus now more on business and automotive data. Cole’s Directory was/is a volume, much like a telephone directory. Except printed out in reverse. Of course, back then, people just had land-lines. And didn’t move as often. And no cellular telephones! But one could utilize both directories to find out who lived at what address, and when. They were generally published yearly. And if you purchased a Cole’s. you could call them for updated information, post-publication. They seem now to sell both the bound volumes, and provide Internet access to their directories. The public library also had telephone directories for the city and the State. As the telephone company is now many telephone companies, I suspect they no longer do this. But, usually issued yearly, these too, can be revelatory. Many folks became tired of certain kinds of harassing telephone calls, and paid extra for ‘unlisted’ or ‘non-published’ service. The difference being one simply didn’t get published in the telephone directory, the other wasn’t even available through directory assistance. But many times, they’d just keep the same number, more anonymously. That’s why old telephone directories have value. Five years earlier, they might have been published! When there was just one telephone company, I had a standing order for all the city and town telephone directories in the State, as published, for my PI business. And had City of Phoenix proper back eleven years on my shelves. You never knew what information treasure lurked therein. As an investigator, I suspect now much of this data is available on line, or DVD, for a fee. As a private citizen in a world with no privacy, I hope not. The reciprocity list was announced late Thursday by Wisconsin Attorney General J.B. Van Hollen along with an updated set of frequently asked questions at http://www.doj.state.wi.us/about the new concealed carry law set to take effect Nov. 1. “This newly created page provides important updates, including a link to the emergency rules, application and training requirements information, and a model certificate to serve as a guide for instructors providing students with proof of training. Permit application forms will be made available online and by mail on November 1, 2011,” a Department of Justice announcement read. h/t Clayton Cramer’s blog, Wisconsin Journal-Sentinel.